Do you need to earn a little extra money? Are you looking for a job you can do from home? Alexis Demetroulakos in Nutley, New Jersey, wants to teach you the powers of wealth creation. 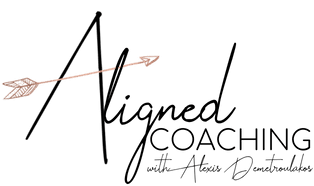 A Certified Holistic Health Coach, Alexis was able to transform her life in 15 short months, going from 14-hour days working as a magazine executive in New York City to a dream job where she gets to create her own hours and work from home. To learn more about wealth creation, call Alexis or schedule a consultation online. What is wealth creation/financial wellness? Wealth creation is a term used to describe the generation of income over a period of time. Your retirement fund is an example of wealth creation. What makes wealth creation different from network marketing is that wealth creation is RESIDUAL income or money that grows while you sleep. While it’s smart to set money aside and plan for your future, wouldn’t you like to earn a better income now? An income that grows exponentially? Alexis was able to turn a side business into a six-figure income through wealth creation. Alexis was an overworked, stressed executive working 14-hour days and missing her daughter grow up. A friend approached her with a system that would not only help her feel and look better but also help her earn an income that would allow her to quit her exhausting, life-draining job in just 15 months. Alexis can help anyone willing to put in the time and effort. She helps dads who want a residual income, moms who want to earn money but need to be at home with the kids, and people working full-time who want a side job that has the potential to bring in a serious income. Alexis started her wealth creation while working full-time. She would find tiny pockets of time, in bathroom stalls and on tea breaks, to share her system with anyone who asked. It was easy because the products themselves did all the work. After just one week of adding the products to her daily routine, Alexis looked and felt better, and it showed. Everyone wanted to know her secret. Not only did it change Alexis’s body, health, and business because of the results she got with her clients, but it changed her entire financial situation. Alexis is so passionate about her company on every level and wants to work with others who have the same drive and beliefs to reach their dreams and pay it forward. Alexis loves retiring members of her team from their full-time careers (if that’s your goal) and has helped hundreds of others live their dreams doing something they love and having fun along the way. If you’re hardworking, passionate, and driven, Alexis would love to hear from you. When you join Alexis’ team, she matches your effort with hers, and it’s a team for life like no other you’ve ever been on before … supportive, motivating, and inspirational. If you love the products and everyone is asking you about your secret, Alexis can teach you how to market and start your own business and create your own wealth. She then helps you build your own team filled with people who want the same things you do — to earn a little extra money, be able to stay home with the kids or save for a dream vacation. Plus, you get the benefits of the products, which improve both your health and your look. To learn more about wealth creation, residual income, and how you can create your dream life, call Alexis Demetroulakos, or schedule a consultation online.